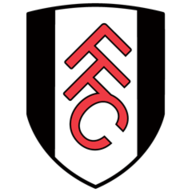 Highlights of the Sky Bet Championship match between Fulham and Reading. Moussa Dembele scored twice as Fulham claimed a thrilling 4-2 fightback win over Reading. The Cottagers had looked down and out after Lucas Piazon and Orlando Sa had struck either side of the break for high-flying Reading. But three goals in six second-half minutes - Ross McCormack and Alex Kacaniklic also on target - completed an stunning rally to ease some pressure on manager Kit Symons. Reading are among the Sky Bet Championship's top scorers and it took them just 13 minutes to draw first blood following a sweeping move. Matej Vydra's final defence-splitting, first-time pass freed Piazon and the on-loan Chelsea midfielder calmly stroked the ball home. Another fluid move saw Piazon once again find himself within sight of goal but Richard Stearman's outstretched leg deflected the ball just over the top of the crossbar. Fulham finally threatened - to ironic cheers - in the 38th minute but Dembele headed over. Symons knew his side needed to up their tempo after the break but instead it was Sa who struck for the Royals in the 49th minute, pouncing on Tom Cairney's mistake before firing home from the angle. Fulham looked done for but within a minute McCormack had thrown them a lifeline. The Cottagers captain flicked the ball up and shot on the turn to rock Reading and just four minutes later, the hosts were level, Dembele turning home Lasse Vigen Christensen's cross. Substitute Kacaniklic soon struck to complete the turnaround, slotting past a shellshocked Ali Al Habsi after Dembele's cushioned lay-off had exposed the visitors' defence. 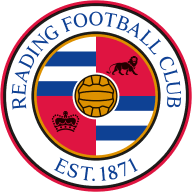 Reading had failed to halt the onslaught but they might have restored parity themselves when in-form Nick Blackman's corner was met by Sa, Ryan Fredericks hacked the header off his own line. That intervention proved crucial as Fulham went up the other end, Dembele beating Al Habsi again after being teed up by McCormack. The Scot was denied another goal late on when Chris Gunter cleared off the line, but the damage had already been done. "The club are in talks with [Dembele over a new contract]. The reality of it is he is at a football club where he will develop. He's far from the finished article - he needs to keep working hard and he knows that. Hopefully we will get the contract sorted out soon. you get booed and your job is under threat. That's how the industry is." "I was disappointed with the way we conceded the first goal. When you go 2-0 in front you should go on to win the game. We conceded three goals in six minutes and the whole complexion of the game changed. It's not like us and it's disappointing but we have to move on."